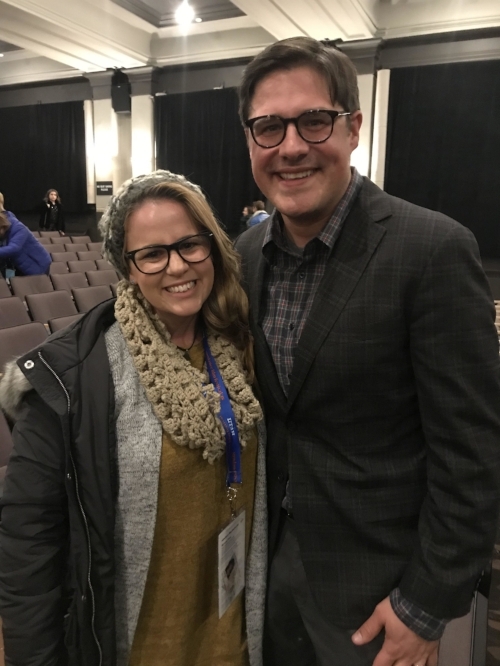 The first question was for actor Rich Sommer, who plays the role of Wayne Mackey in the film. Tiera Skovbye: “I think I was surprised at how scared I still got. Like, gasp, oh! I knew that was happening! It was also fun to notice little moments that we all were like, ‘oh, yeah, that’s funny!’ and you guys laughed, and we were like, ‘oh, that’s awesome! It worked!’. After the audience applauded their faces off once more, the cast and crew stuck around for a few minutes and I was lucky enough to snag a couple of photo ops. Summer of ‘84 is one film you’ll definitely want to keep on your radar. Breaking! Slow News Day Leads To Blown Out Of Proportions Halloween News!